Martone: Can/Will States Protect Vulnerable Pops. with Loss of Federal $? 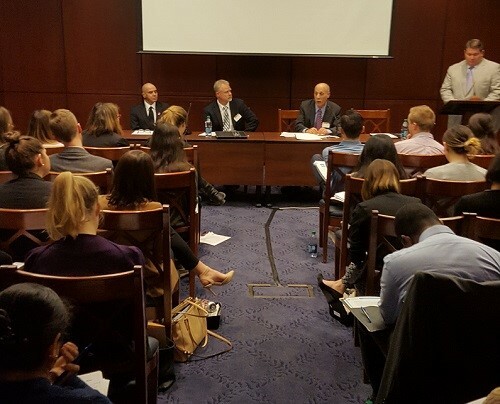 A few weeks ago, I had the opportunity to explain to a roomful of congressional staffers the profound impact that a repeal of Medicaid expansion would have on individuals with substance use disorders - and on the systems that serve them. In the questions that followed, an underlying theme was evident: Would lost Medicaid revenue and other federal resources be replaced by state funds to pay for such services? This issue has far-reaching implications for all of our nation's safety net programs. Both my current work with state systems across the country and my experience as a former state commissioner of behavioral health make clear to me that states are in no position to absorb the transfer of fiscal responsibility they are about to receive from federal policymakers. Systems Work Better Together In every state, there are vulnerable populations whose complex challenges require coordinated solutions that use federal and state funding. In recent years, awareness has grown in both the health care and affordable housing communities of the positive outcomes to be attained by leveraging these resources together. State Medicaid directors have become educated on the costs to their programs of individuals with chronic health conditions who are homeless, at risk of homelessness, or living in substandard housing. Likewise, affordable housing leaders have learned that lack of access to health insurance, and especially to integrated behavioral and primary health care services, jeopardizes housing stability. States are becoming sophisticated in their use of interventions that build on this new understanding, such as supportive housing - an approach that combines affordable housing assistance with wraparound supportive services. Such states have increasingly demonstrated cost savings<http://r20.rs6.net/tn.jsp?f=001h60BpzYs7tBwJCWZMpcaQpEVAsD-wT828o0zm_oFXQtsiV6-WW5wJXUT7M5m_O4SGyvjDJyFFmfT5x9EZ7ZfJwliaYB7fVy7I_bpj4CXLqugzh2pBpRmkYJNNy93ZNCsfRRlVNjQOsMJSIUMfyUXeETNIzzxgApJTna0qw7fkzQRytOuKvOVWmSRUqtc_h4KIn6aYjmEHCg8KneCpDB36QMlffnTMkVHkSiCMtOuvc1W7VLmdk-qgApOigmawSxtXERpEtZwqSw_v35UMmtGvWgwYU_dBhcf2_4Zyen72U_7Vp_bE9HzcqDJwsDd_VcGUftDQ731z-kHTzvNxyoDVAjPa9qqkhHGWCQETm6yk-Kxth8CNEjvlMdHD4MFPvnzrx7ZHRcRtmJD1Rfh3TGOj05lRl4CQ1lFV6VdFRxIsnUMqNEnb5ZQsHZHzgaE5myD3qbZKqeBXxnCyLw2EEgt-Y2EqwJvZOUibZ8jKcO8Xt9P0-yvloe9fp7mkabetRU5pMRcC2XHf7Bbn17e-bpzBgSK0snxUE1L&c=eYAyPFhz-g7s4kB70r_Z5sWKYosED05lD9HSjMkcT64FbJZJ4n9Ufg==&ch=1Lvywef_5RkgPFzh1R_Io1R8sOngcKvsIZBXZb7E9vK1R0emR4c_EQ==> in their systems. The availability of federal funding has afforded states the opportunity to improve the lives of millions of children and adults. The option to expand Medicaid through the Affordable Care Act (ACA) allowed states to increase access to care for populations with many health needs, create better health care delivery systems, and save taxpayer dollars. Federal funding was the incentive needed for 31 states and the District of Columbia to expand coverage, while states that did not expand Medicaid still rely on significant federal support to operate their traditional Medicaid programs. Federal housing assistance programs have been a critical resource for millions of seniors, people with disabilities, and people living on very little income - though a significant gap remains between available assistance and need. "Recent history shows that as resources are squeezed, many states are unable or unwilling to prioritize vulnerable populations." Decreases in affordable housing assistance resulting from cuts to non-defense discretionary (NDD) programs like those at HUD will disproportionately affect the same populations impacted by cuts in Medicaid. We don't have to look too far back to see how this plays out: the March 2013 sequestration cuts forced state and local housing agencies to decrease the number of households using tenant-based vouchers by more than 80,000<http://r20.rs6.net/tn.jsp?f=001h60BpzYs7tBwJCWZMpcaQpEVAsD-wT828o0zm_oFXQtsiV6-WW5wJXUT7M5m_O4S7S9NNaNBztUz4cHH2fudK6t98dqGmepeHKF6fBh9rIWXZmy3c7F17TaXneSpALj1gAhXHUmWVbyTPQbN57PZAsFE_sym_smPdhWSxTov60iRDy5QmyYl9Z1vrcHfj354EWAS5VNPEgKM-KxzxoLBo08_UK0he8ZjDjN9iiZqbjGm0wniqpwhPIQebV8OaIjGP9zCKwmdCjkg59V_tK0XE7J0i8dzesDZWwkFUXUpI6xNRGSWspn7CWHbCRZEQ3kuXXJOtDctNPL4KMwY63Ydo5nXUEhUHsJVLQkKpu3ozf056zLeg-jBgtlBnY0xkwGGnWfpBM5Cc7OLbmqgqZlBetdbGetx4q_F9X844v_hPOs6RwKMUSF2Vr5x4hajxj9l2FWzvs1vytRvwhFW4qyeU_BNTjiC-4WHmB0YEk8yFeTE_0gzJTEfImYNzACg-BRLldyB5L83b9xoOWOEwYcI0I0JIaKsEYRaQfLQoEYNW94=&c=eYAyPFhz-g7s4kB70r_Z5sWKYosED05lD9HSjMkcT64FbJZJ4n9Ufg==&ch=1Lvywef_5RkgPFzh1R_Io1R8sOngcKvsIZBXZb7E9vK1R0emR4c_EQ==>. About half of all voucher recipients are seniors or people with disabilities<http://r20.rs6.net/tn.jsp?f=001h60BpzYs7tBwJCWZMpcaQpEVAsD-wT828o0zm_oFXQtsiV6-WW5wJXUT7M5m_O4SbhL_-grUZqkaQObFYsdm8Z-y1FirqHeuKGZ9Pko899HIoBt2udem-6ORBjq0vyxFxiZ-iKAswXawSYKwoXasXY7TDkd6o6fz-K4J25Mg90uFAW6f5CawwQsmXWIpG0aWT-aHtNfhiphqExMynbecy-DDvHx3MFGVPrxewQsjsMljkypzL_f9XprozM_ZLJkOsc4H2x0-yh1ySCt8VWf42LA2514Eogpr2IFgM6xptI9FOPGnmyq8bwsEFAHQneO9klE4b7ySEilV2KyZovH2mjQqHAbsionpNVhov0_RpEO8owdV-ZW8UpDy_g80lR8j3RwvoJ6uz7K_TTNrS5AP49pV3NIuhqFhQc2r-nROoY3MZtBrf0w5WnxVgp68HwjFqJDR4Se-4eMZ7ouFsoJXYIHO7h40eWb4AzoKyoNzdNk=&c=eYAyPFhz-g7s4kB70r_Z5sWKYosED05lD9HSjMkcT64FbJZJ4n9Ufg==&ch=1Lvywef_5RkgPFzh1R_Io1R8sOngcKvsIZBXZb7E9vK1R0emR4c_EQ==>, most of whom live on fixed incomes such as Social Security or Supplemental Security Income (SSI) and rely on Medicaid. In not a single rental housing market in the country<http://r20.rs6.net/tn.jsp?f=001h60BpzYs7tBwJCWZMpcaQpEVAsD-wT828o0zm_oFXQtsiV6-WW5wJbIzvYEYKJlEPG9NWqkv-MHjC87x9FrAhJTiByIrNgc3G23ubCBqbxFezF_SYWq9keJ4SitqH9QoiO0bBL889f7cTMihet4EUcsL7HUiTTtyeix3m8AsIZ1CLbAy7suSLYikVUJrZOusC8fINyMcQOJQ-bUolcNJjprqaN8xlRlocWQDld5Vht9InVI2Wvh6btN_TBxketnv2NVFMWiz_ZJIvzjnO6tUBamvvSJdh4_NYHc67-VUU-GT1pFf_yPyLBkI2_xVVy7nAlj-O4_NQUH4f656VZBb6mG4oWlB7ifYUqB8-iiBRsgWMjYA2C5EydZ4cCWUNOaatu4oo3XTpt3BOYdZZCmpsxY6cVN1kxc-JzWeAW7EwcRMxFeRFWZmmlTWEctxXR-8D9NhXxtB1a3uQvuueQzek2RWo7zeQg7qHd9WACVxOuJofpHclD4vRw==&c=eYAyPFhz-g7s4kB70r_Z5sWKYosED05lD9HSjMkcT64FbJZJ4n9Ufg==&ch=1Lvywef_5RkgPFzh1R_Io1R8sOngcKvsIZBXZb7E9vK1R0emR4c_EQ==> can a person with a disability who is living on SSI afford housing at the "fair market rent" determined by HUD. According to the National Low Income Housing Coalition, the United States has a shortage of 7.2 million rental units<http://r20.rs6.net/tn.jsp?f=001h60BpzYs7tBwJCWZMpcaQpEVAsD-wT828o0zm_oFXQtsiV6-WW5wJXUT7M5m_O4S3PfGZjeVXB4Xlgvu3qAm7jJZ-h5iVGNUlNXBv04zFmFYDdTkYrNoUmfDmm1FzVH4zrztNKGobKxJiylmbuJ4fGol_EdaHMO6guigAaUhhs84HWnESfFXXafXsFMOkRb7ojbcpdhMWPN1NbImMx65_iz53YCVLPtfGru1SzZpEojeuiVEfVIHKxtKeIbFcBSki8oqGh5KKtMeJaeTW46sAZct-rk8rFdvTbyD2rK2weqbx82oACIY1TxQUVNgbHQWhhXT6X06_0an47XcWjkT1fvwEYvYnx3_V-79q8bdOi1HYAPUeTsudDqpa0-1EqL-L_Rvoy-noIB2sbqb7FXCdp_k7D8rrk1NwiBIxtC3BdFg3nlJq8q4NDYKNkZkRov5zxo_8AEhvzGuQhJ7vIwG-ja_IwOuPso1TjYCpDKMRrcN6HjDfMQzeA==&c=eYAyPFhz-g7s4kB70r_Z5sWKYosED05lD9HSjMkcT64FbJZJ4n9Ufg==&ch=1Lvywef_5RkgPFzh1R_Io1R8sOngcKvsIZBXZb7E9vK1R0emR4c_EQ==> affordable to extremely low-income renter households. Yet President Trump has proposed a one-percent reduction<http://r20.rs6.net/tn.jsp?f=001h60BpzYs7tBwJCWZMpcaQpEVAsD-wT828o0zm_oFXQtsiV6-WW5wJXUT7M5m_O4SbhL_-grUZqkaQObFYsdm8Z-y1FirqHeuKGZ9Pko899HIoBt2udem-6ORBjq0vyxFxiZ-iKAswXawSYKwoXasXY7TDkd6o6fz-K4J25Mg90uFAW6f5CawwQsmXWIpG0aWT-aHtNfhiphqExMynbecy-DDvHx3MFGVPrxewQsjsMljkypzL_f9XprozM_ZLJkOsc4H2x0-yh1ySCt8VWf42LA2514Eogpr2IFgM6xptI9FOPGnmyq8bwsEFAHQneO9klE4b7ySEilV2KyZovH2mjQqHAbsionpNVhov0_RpEO8owdV-ZW8UpDy_g80lR8j3RwvoJ6uz7K_TTNrS5AP49pV3NIuhqFhQc2r-nROoY3MZtBrf0w5WnxVgp68HwjFqJDR4Se-4eMZ7ouFsoJXYIHO7h40eWb4AzoKyoNzdNk=&c=eYAyPFhz-g7s4kB70r_Z5sWKYosED05lD9HSjMkcT64FbJZJ4n9Ufg==&ch=1Lvywef_5RkgPFzh1R_Io1R8sOngcKvsIZBXZb7E9vK1R0emR4c_EQ==> to NDD each year for the next ten years. Even a simple freeze, suggested by several members of Congress, would result in the defunding of housing vouchers currently used by more than 100,000 families<http://r20.rs6.net/tn.jsp?f=001h60BpzYs7tBwJCWZMpcaQpEVAsD-wT828o0zm_oFXQtsiV6-WW5wJXUT7M5m_O4SbhL_-grUZqkaQObFYsdm8Z-y1FirqHeuKGZ9Pko899HIoBt2udem-6ORBjq0vyxFxiZ-iKAswXawSYKwoXasXY7TDkd6o6fz-K4J25Mg90uFAW6f5CawwQsmXWIpG0aWT-aHtNfhiphqExMynbecy-DDvHx3MFGVPrxewQsjsMljkypzL_f9XprozM_ZLJkOsc4H2x0-yh1ySCt8VWf42LA2514Eogpr2IFgM6xptI9FOPGnmyq8bwsEFAHQneO9klE4b7ySEilV2KyZovH2mjQqHAbsionpNVhov0_RpEO8owdV-ZW8UpDy_g80lR8j3RwvoJ6uz7K_TTNrS5AP49pV3NIuhqFhQc2r-nROoY3MZtBrf0w5WnxVgp68HwjFqJDR4Se-4eMZ7ouFsoJXYIHO7h40eWb4AzoKyoNzdNk=&c=eYAyPFhz-g7s4kB70r_Z5sWKYosED05lD9HSjMkcT64FbJZJ4n9Ufg==&ch=1Lvywef_5RkgPFzh1R_Io1R8sOngcKvsIZBXZb7E9vK1R0emR4c_EQ==> in 2017 alone. Faced with such a significant loss of federal support, Democratic and Republican governors, legislators, and mayors will have to make some very difficult budgetary decisions. Will these leaders, as many have suggested, find ways to sustain access to health benefits, affordable housing assistance, and social services once federal policymakers shift the financial burden onto states? Hard Choices Recent history shows that as resources are squeezed, many states are unable or unwilling to prioritize vulnerable populations. Most Medicaid expansion states were in a position to increase coverage only because of significant federal matching. Without such support, states have generally opted to provide only limited benefits to people who are traditionally ineligible for Medicaid, and several states have established highly restrictive eligibility criteria. Economic downturns<http://r20.rs6.net/tn.jsp?f=001h60BpzYs7tBwJCWZMpcaQpEVAsD-wT828o0zm_oFXQtsiV6-WW5wJXUT7M5m_O4SbhL_-grUZqkaQObFYsdm8Z-y1FirqHeuKGZ9Pko899HIoBt2udem-6ORBjq0vyxFxiZ-iKAswXawSYKwoXasXY7TDkd6o6fz-K4J25Mg90uFAW6f5CawwQsmXWIpG0aWT-aHtNfhiphqExMynbecy-DDvHx3MFGVPrxewQsjsMljkypzL_f9XprozM_ZLJkOsc4H2x0-yh1ySCt8VWf42LA2514Eogpr2IFgM6xptI9FOPGnmyq8bwsEFAHQneO9klE4b7ySEilV2KyZovH2mjQqHAbsionpNVhov0_RpEO8owdV-ZW8UpDy_g80lR8j3RwvoJ6uz7K_TTNrS5AP49pV3NIuhqFhQc2r-nROoY3MZtBrf0w5WnxVgp68HwjFqJDR4Se-4eMZ7ouFsoJXYIHO7h40eWb4AzoKyoNzdNk=&c=eYAyPFhz-g7s4kB70r_Z5sWKYosED05lD9HSjMkcT64FbJZJ4n9Ufg==&ch=1Lvywef_5RkgPFzh1R_Io1R8sOngcKvsIZBXZb7E9vK1R0emR4c_EQ==> can create added challenges for states as tax revenues decrease while unemployment and enrollment in Medicaid increase. According to the U.S. Government Accountability Office (GAO), during the nation's last recession, Medicaid enrollment grew by 14.2 percent<http://r20.rs6.net/tn.jsp?f=001h60BpzYs7tBwJCWZMpcaQpEVAsD-wT828o0zm_oFXQtsiV6-WW5wJXUT7M5m_O4SbhL_-grUZqkaQObFYsdm8Z-y1FirqHeuKGZ9Pko899HIoBt2udem-6ORBjq0vyxFxiZ-iKAswXawSYKwoXasXY7TDkd6o6fz-K4J25Mg90uFAW6f5CawwQsmXWIpG0aWT-aHtNfhiphqExMynbecy-DDvHx3MFGVPrxewQsjsMljkypzL_f9XprozM_ZLJkOsc4H2x0-yh1ySCt8VWf42LA2514Eogpr2IFgM6xptI9FOPGnmyq8bwsEFAHQneO9klE4b7ySEilV2KyZovH2mjQqHAbsionpNVhov0_RpEO8owdV-ZW8UpDy_g80lR8j3RwvoJ6uz7K_TTNrS5AP49pV3NIuhqFhQc2r-nROoY3MZtBrf0w5WnxVgp68HwjFqJDR4Se-4eMZ7ouFsoJXYIHO7h40eWb4AzoKyoNzdNk=&c=eYAyPFhz-g7s4kB70r_Z5sWKYosED05lD9HSjMkcT64FbJZJ4n9Ufg==&ch=1Lvywef_5RkgPFzh1R_Io1R8sOngcKvsIZBXZb7E9vK1R0emR4c_EQ==> from October 2007 through February 2010. During the same period, total Medicaid expenditures grew nearly 21 percent<http://r20.rs6.net/tn.jsp?f=001h60BpzYs7tBwJCWZMpcaQpEVAsD-wT828o0zm_oFXQtsiV6-WW5wJXUT7M5m_O4SbhL_-grUZqkaQObFYsdm8Z-y1FirqHeuKGZ9Pko899HIoBt2udem-6ORBjq0vyxFxiZ-iKAswXawSYKwoXasXY7TDkd6o6fz-K4J25Mg90uFAW6f5CawwQsmXWIpG0aWT-aHtNfhiphqExMynbecy-DDvHx3MFGVPrxewQsjsMljkypzL_f9XprozM_ZLJkOsc4H2x0-yh1ySCt8VWf42LA2514Eogpr2IFgM6xptI9FOPGnmyq8bwsEFAHQneO9klE4b7ySEilV2KyZovH2mjQqHAbsionpNVhov0_RpEO8owdV-ZW8UpDy_g80lR8j3RwvoJ6uz7K_TTNrS5AP49pV3NIuhqFhQc2r-nROoY3MZtBrf0w5WnxVgp68HwjFqJDR4Se-4eMZ7ouFsoJXYIHO7h40eWb4AzoKyoNzdNk=&c=eYAyPFhz-g7s4kB70r_Z5sWKYosED05lD9HSjMkcT64FbJZJ4n9Ufg==&ch=1Lvywef_5RkgPFzh1R_Io1R8sOngcKvsIZBXZb7E9vK1R0emR4c_EQ==>, from $332.2 billion in 2007 to $401.5 billion in 2010. To reduce program spending, the GAO noted, states generally make certain changes to their Medicaid programs, such as altering payments to providers, limiting eligibility, eliminating optional services, or reducing the amount, duration, or scope of services covered. Even as need rose, states cut funding <http://r20.rs6.net/tn.jsp?f=001h60BpzYs7tBwJCWZMpcaQpEVAsD-wT828o0zm_oFXQtsiV6-WW5wJXUT7M5m_O4ScObg1Sok9renQneWXosaSMBP4SfqZXh_9kU6x4Ur6jdEZcf2d-KlyS3ZTUnQtDc4ItaV2L8vNYYLtbuJsQ95feEcN3Kfl5Sjg9w5HNcOgaqBxzFi998juoyxfQKKKt6-46QpsqzdclueI36FDeL2FznRGlxoZ5mPujPnuGTEKlU45eiBjUOi-FrYkUuVRUtgdRy5Roo7dcamerj2DHsjxqh9ZvPT2KkP_90wSqgs3vDOM6ptWZXUWBFoG6V4FwwBPFJx7SIsgtkz9Oz4KonOA3ZJfQfML-mmMTLGvyvCvMjtfQGGAaiTVnGIvs62LeAt1J_Tu9dXnid7nbF0kgna8DoVlfHDHh9YoN2GKHoOEBq6bFHifPWgzJa1mTSwvC56KeaTB5rVHOoYL4hfQlnwWaRzZ373f5vO-8W_BLS6xSnjBCNfWRldUw==&c=eYAyPFhz-g7s4kB70r_Z5sWKYosED05lD9HSjMkcT64FbJZJ4n9Ufg==&ch=1Lvywef_5RkgPFzh1R_Io1R8sOngcKvsIZBXZb7E9vK1R0emR4c_EQ==> for a range of services by 4.2 percent in fiscal year 2009 and an additional 6.8 percent in 2010, according to estimates by the National Association of State Budget Officers (NASBO). In 2011, two-thirds of states cut provider payments<http://r20.rs6.net/tn.jsp?f=001h60BpzYs7tBwJCWZMpcaQpEVAsD-wT828o0zm_oFXQtsiV6-WW5wJXUT7M5m_O4S0bbq2ucv-JEwk4zcEEKZMUHnz-G1rBoqzhE9N1SlQUZlUB6v0DPmgZqZp-wB6nLe-x9-mB7VPPpHJkzgrtwcq8n1-ccsF7Pz8EKTjCtY5eELBnyc6EbeNqZCpUTebeQwprW4hiOo0IT2jFpteQMCg_RrnkU_r7VaY4niLS4HHl2GmXQ7LyhX70F_WBKDP722bjhkF7P-1N9HJ8KCd733QwcSJCXIIzTLL6LanuvPKpO5BcDPk0APSXizB9zOSmOnY3EiTqNZDhpF6yUnrAthTk0URjAR4bFylwLXIXUQXYzjGxAmKFblMVs4vb7DIxoF-LXYC1EAwfQJbub_yOBOYKY3I2bqW59T0Io56QyfCx488zW-3_QCYZHIOjwwCejdAmzHn9tcoYlPlr-6jdnBJweM3Q8c-0Vv&c=eYAyPFhz-g7s4kB70r_Z5sWKYosED05lD9HSjMkcT64FbJZJ4n9Ufg==&ch=1Lvywef_5RkgPFzh1R_Io1R8sOngcKvsIZBXZb7E9vK1R0emR4c_EQ==>, and 18 states reduced Medicaid benefits<http://r20.rs6.net/tn.jsp?f=001h60BpzYs7tBwJCWZMpcaQpEVAsD-wT828o0zm_oFXQtsiV6-WW5wJXUT7M5m_O4S0bbq2ucv-JEwk4zcEEKZMUHnz-G1rBoqzhE9N1SlQUZlUB6v0DPmgZqZp-wB6nLe-x9-mB7VPPpHJkzgrtwcq8n1-ccsF7Pz8EKTjCtY5eELBnyc6EbeNqZCpUTebeQwprW4hiOo0IT2jFpteQMCg_RrnkU_r7VaY4niLS4HHl2GmXQ7LyhX70F_WBKDP722bjhkF7P-1N9HJ8KCd733QwcSJCXIIzTLL6LanuvPKpO5BcDPk0APSXizB9zOSmOnY3EiTqNZDhpF6yUnrAthTk0URjAR4bFylwLXIXUQXYzjGxAmKFblMVs4vb7DIxoF-LXYC1EAwfQJbub_yOBOYKY3I2bqW59T0Io56QyfCx488zW-3_QCYZHIOjwwCejdAmzHn9tcoYlPlr-6jdnBJweM3Q8c-0Vv&c=eYAyPFhz-g7s4kB70r_Z5sWKYosED05lD9HSjMkcT64FbJZJ4n9Ufg==&ch=1Lvywef_5RkgPFzh1R_Io1R8sOngcKvsIZBXZb7E9vK1R0emR4c_EQ==>. The recession of 2009-2012 resulted in losses of over $4 billion<http://r20.rs6.net/tn.jsp?f=001h60BpzYs7tBwJCWZMpcaQpEVAsD-wT828o0zm_oFXQtsiV6-WW5wJXUT7M5m_O4SYBOYgV4cVpeoCcPQkVqo2Ad2QPmUblw53ZE3jbPmz9BWB6BtBGp2fs0UszIcxCJpNzfW6BN9rp_BFIHPxc9wASRGSt8WiLgNxjz-7IvWn2gh4MBSagiu_F3TOsSWuyha_ZjbXBaPEw7WRMznsfPFtXWf7QmqMSxmegJTxDWv0wQwOi3hAhLniBF06Yqu0_YG3cElSClg6lGnmqKT6f5m0x1Sfb8tdI6ALcyLclDeXXeEvJm6BsAl_aPdkkKwPvas_p07ux3bEXiZCSKgKGE_YbFNTaSLI--L-FEbR8iMAjErcEEbxV1iNFkil32zSCIGXiCqQ5wfze1_vTTgSM0LEQVOJvdBkG75_QaJ50RVjp7ChXzdpWuevDLolbXcVif6K3FS6gv1R415XJeP9oft5VlUv8qXW4EwYfZQ8VQm8Y89QMd6kdf8VHGXtI7lruaA&c=eYAyPFhz-g7s4kB70r_Z5sWKYosED05lD9HSjMkcT64FbJZJ4n9Ufg==&ch=1Lvywef_5RkgPFzh1R_Io1R8sOngcKvsIZBXZb7E9vK1R0emR4c_EQ==> from public behavioral health systems across the country, losses from which they have still not fully recovered. Most states have allocated resources to support housing assistance for low-income populations. A report prepared by the Technical Assistance Collaborative in 2014 indicated that 34 states offer some type of rental assistance<http://r20.rs6.net/tn.jsp?f=001h60BpzYs7tBwJCWZMpcaQpEVAsD-wT828o0zm_oFXQtsiV6-WW5wJXUT7M5m_O4SdVLspzDkBmTfMJpOSTGryXo5s8pENvlXsZwzpu3PixTc1p-h75_tBL5FSwt-oigRYZUHn0_fbIt6eWeKW_evAzUnHXyVB7jU1h9A-UZxbvEXWlEJ2yNIdArOoSfCwodUjq19OCr1OqRGiZ1fKHo0Oybdf512uY7ar5YozrLLPQ_YaKEKxcxfFaCg8SQKlL-LXdVoR0dMst3A01YCZ58loJ0L_vTcGYdXpsylLMR3A_je96fT__V3Dz1glGhJkML33u3jvEP5nDxsyb21FK7-Rvdfl2BNpt6AOFcznC5s7xIeAuF_-O4A4qiC4Oct7c9Xrrqx5zk0mPq_I2QljCBkBS_Sm6wzbR3sC98GDcFppDPYaRVv08m06RKOxdyOAvfPWnTFjbdZvy2OrTDqqTSA1VQnry6sZiY-Jz358SfuEh7XuYpRzHuUuO-uAWwjLo_IdWl1z8QEVpM=&c=eYAyPFhz-g7s4kB70r_Z5sWKYosED05lD9HSjMkcT64FbJZJ4n9Ufg==&ch=1Lvywef_5RkgPFzh1R_Io1R8sOngcKvsIZBXZb7E9vK1R0emR4c_EQ==> or homeless prevention funds (e.g. security deposits). However, there is wide variation in the number of individuals such programs can support, and program funding tends to fluctuate annually due to state budget pressures. Indeed, a NASBO survey conducted in the fall of 2016 indicated that in 24 states, general fund revenues for 2017 are coming in below projections, the greatest number of states expecting revenue shortfalls at this time in the fiscal year since 2010. Nineteen states reported net mid-year budget reductions<http://r20.rs6.net/tn.jsp?f=001h60BpzYs7tBwJCWZMpcaQpEVAsD-wT828o0zm_oFXQtsiV6-WW5wJXUT7M5m_O4SbhL_-grUZqkaQObFYsdm8Z-y1FirqHeuKGZ9Pko899HIoBt2udem-6ORBjq0vyxFxiZ-iKAswXawSYKwoXasXY7TDkd6o6fz-K4J25Mg90uFAW6f5CawwQsmXWIpG0aWT-aHtNfhiphqExMynbecy-DDvHx3MFGVPrxewQsjsMljkypzL_f9XprozM_ZLJkOsc4H2x0-yh1ySCt8VWf42LA2514Eogpr2IFgM6xptI9FOPGnmyq8bwsEFAHQneO9klE4b7ySEilV2KyZovH2mjQqHAbsionpNVhov0_RpEO8owdV-ZW8UpDy_g80lR8j3RwvoJ6uz7K_TTNrS5AP49pV3NIuhqFhQc2r-nROoY3MZtBrf0w5WnxVgp68HwjFqJDR4Se-4eMZ7ouFsoJXYIHO7h40eWb4AzoKyoNzdNk=&c=eYAyPFhz-g7s4kB70r_Z5sWKYosED05lD9HSjMkcT64FbJZJ4n9Ufg==&ch=1Lvywef_5RkgPFzh1R_Io1R8sOngcKvsIZBXZb7E9vK1R0emR4c_EQ==> in fiscal 2016, a historically high number outside of a recession period. There is indisputable evidence that the availability of health insurance and access to health care and affordable housing improve people's lives. As lawmakers contemplate dramatic reductions that will hurt people and economically burden states, we find ourselves at a pivotal point. There is little evidence to suggest that state governments can or will assume the financial responsibility offloaded by the federal government under current proposals. Yet, it is state and local budgets that must absorb the preventable economic consequences when individuals engage costly, crisis-oriented health care, correctional, and homelessness systems. Federal policymakers must understand that a cost shift to states under the guise of flexibility and efficiency will have dramatic and unfortunate consequences for vulnerable individuals and their families. Dr. Richard Frank, Harvard Medical School; Mr. Kevin Martone, Technical Assistance Collaborative; and Mr. Samuel Hedgepeth, a services recipient from the McClendon Center in Washington, D.C.
TAC, Inc. is a national nonprofit organization focused on the intersection of affordable housing, health care and human services, policy, and systems development.